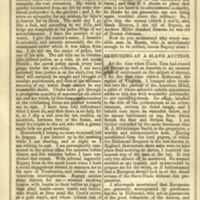 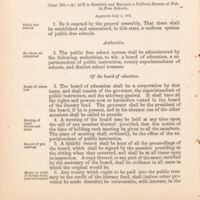 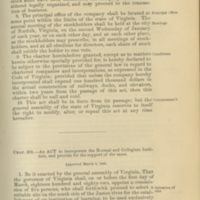 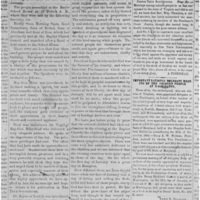 "Act to Establish and Maintain a Uniform System of Public Free Schools"
"An Act to Incorporate the Normal and Collegiate Institute, and Provide for Support of the Same"
"Celebration" and "Grand Celebration in Norfolk"
"In the Richmond Slave Market"
The Southern Planter quoted a Warrenton (Va.) Whig report that Dickinson, Hill, & Co. "reached the enormous sum of two millions [dollars]" in sales. 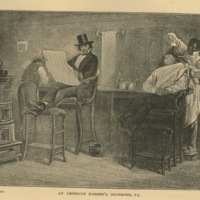 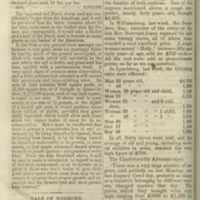 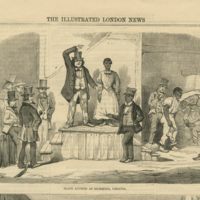 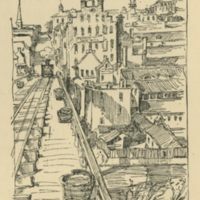 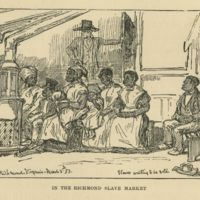 The Whig estimated that the gross sales of Richmond's slave traders exceeded four million dollars. 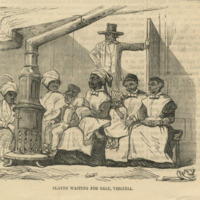 "Slaves Waiting for Sale, Virginia"